We’re always partial to a freebie or two here, and having featured a bunch of different apps and games from the App Store as well as Google’s Play Store for Android over the past few weeks, we’re now going to show you how – in a couple of simple steps – you can get your hands on a total of eight free songs on iTunes. This is a pretty decent saving on the regular price of these hits, and if you’re interested in stocking up your library with some new tracks, then check the finer details below. 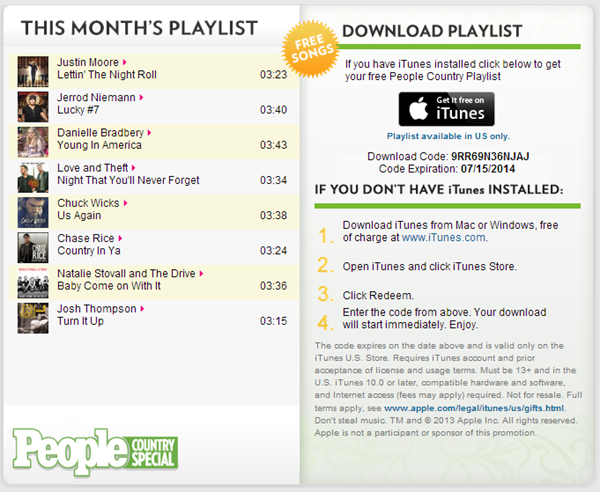 On a regular basis, People Magazine curates its country music playlist and offers it as a completely free download to its American listeners through Apple’s iTunes Music Store, and until July 15th, hits from artists like Chuck Wicks and Chase Rice can be downloaded without the incursion of the usual fees. This is not a give away of indie unknowns – there’s plenty of charting talent from the country music scene therein – and whether you’re a country music fan or just a lover of free stuff (preferably both), then here’s how you can take advantage of this free-to-download playlist. 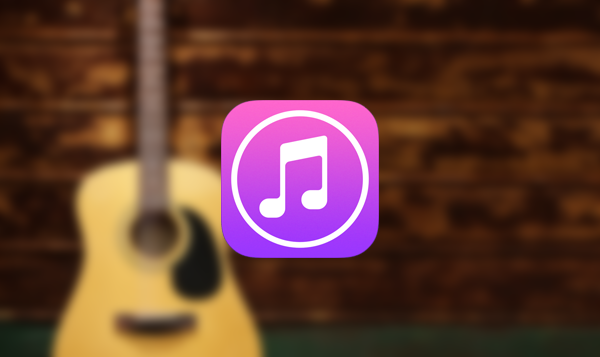 From there, you’ll be able to pick up a promo code, which you can then cash in for your free music by using the iTunes Store’s Redeem feature. It’s a pretty easy way to stock up on some new tracks, and even if you’ve never heard of any of the artists involved, you may surprise yourself by discovering some great new tunes. Please note that, as aforementioned, this promotional offer is only available to those residing in the United States, so if you’re not based in the U.S., please wait for one of our other many featured freebies if you want to have yourself a five-finger discount. Also, if you’re redeeming these songs on a Windows PC or an OS X powered Mac, then be sure to have iTunes installed. But you already have that, don’t you? Oh, and if you do take advantage of this free playlist courtesy of People Magazine, then do be sure to leave a comment below, letting us know if you happen to stumble across any real gems along the way!